Dr.Yaowas born and grew in Hebei, P. R. China beforehe entered auniversity. In2000ï¼he began to accept higher education majoringin pharmacy at Shandong University and obtained hisbachelor degree in 2004. Then he went into Professor Ying Zhong’s lab at Shandong Academy of Medical Sciences to pursue his master degree. After he completed his dissertation hegot his MS degree in medicinal chemistry in 2007. In the same year, he moved to Tianjin and worked in both Professor Shende Jiang’s lab at Tianjin University and Professor Hongquan Duan’s lab at Tianjin Medical University as a joint PhD student. In 2010, he successfully gained his PhD degree in applied chemistry. Then he moved south to Jiangsu and worked at School of Pharmacy, Xuzhou Medical College as a lecturer of natural products chemistry. In 2014, he was promoted as an associate professor. At the same time, he was appointed as a joint postdoctoral fellow in medicinal chemistry at University of Macau. His research interests were focused on the chemistry and biology of natural products which covers natural products chemistry, medicinal chemistry and chemical biology, including isolation, structure elucidation and biological evaluation of bioactive natural products from nature, natural products-based drug design and synthesis targeting biochemical pathways and signal transduction, biosynthesis and biotransformation of natural products, small molecular probes derived from natural products, interactions between small molecules and biomacromolecules. 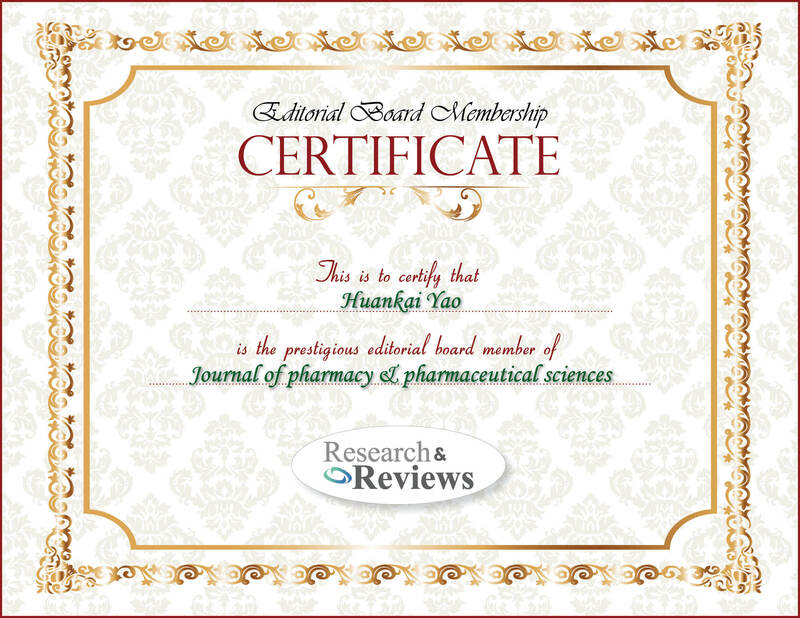 At present, he is a member of Chinese Chemical Society and serves as an editorial board member for Peertechz Journal of Medicinal Chemistry and Research and a peer reviewer for more than 10 academic journals. He has published more than 20 papers as a co-author and gets a NSFC grant as the PI.